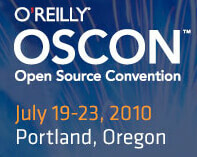 As promised, here’s the slidedeck from my recent OSCON2010 presentation. I reviewed the implications of the US SEC’s recent proposal to use an open source language (Python) for modeling the flow of funds (waterfall) in asset-backed securities and walked through some financial content use cases – in hopes of spurring some collaboration between the open source community, domain experts and government regulators. My premise here is that as governments around the world begin to provide more and more data in web developer-friendly formats on sites like data.gov and sec.gov – there is an inherent set of hurdles that must be overcome. Not the least of which is that the domains are complex, the relationships of even similar data across government agencies is often ill-defined, the tools are still sometime a glimmer in some developer’s eye and more often than not – proprietary in nature and expensive to use. That said, here are the slides – enjoy and join in the conversation!